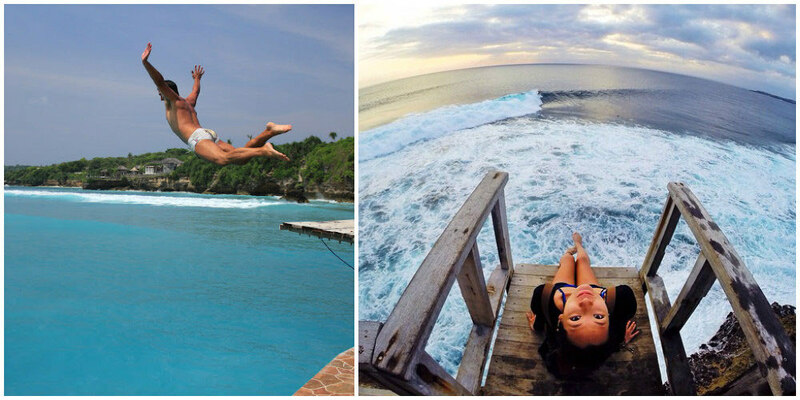 With pristine beaches, lush sceneries topped with wellness programs, Bali is a place to unwind and rejuvenate. But this paradise is not just suited for those who want to take a step back from the usual grind. 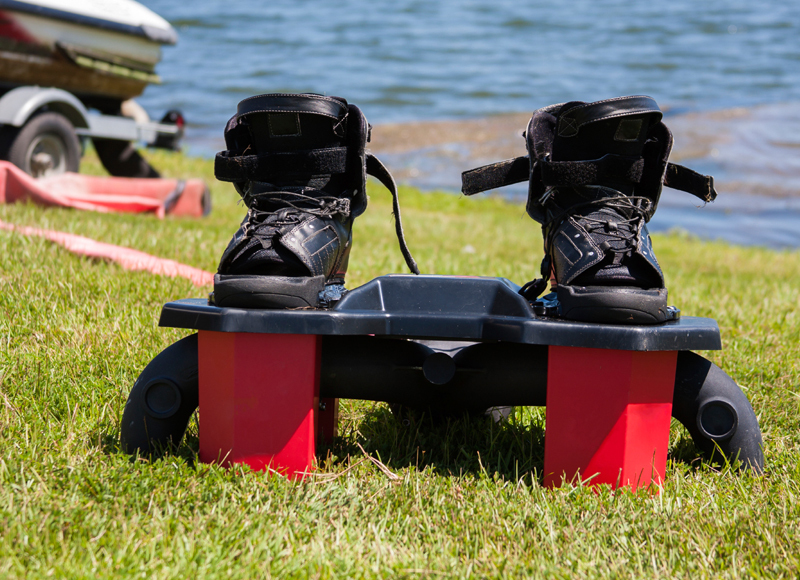 If you are adventurous and love the outdoors, why not challenge your physical strength with high-pumping activities? 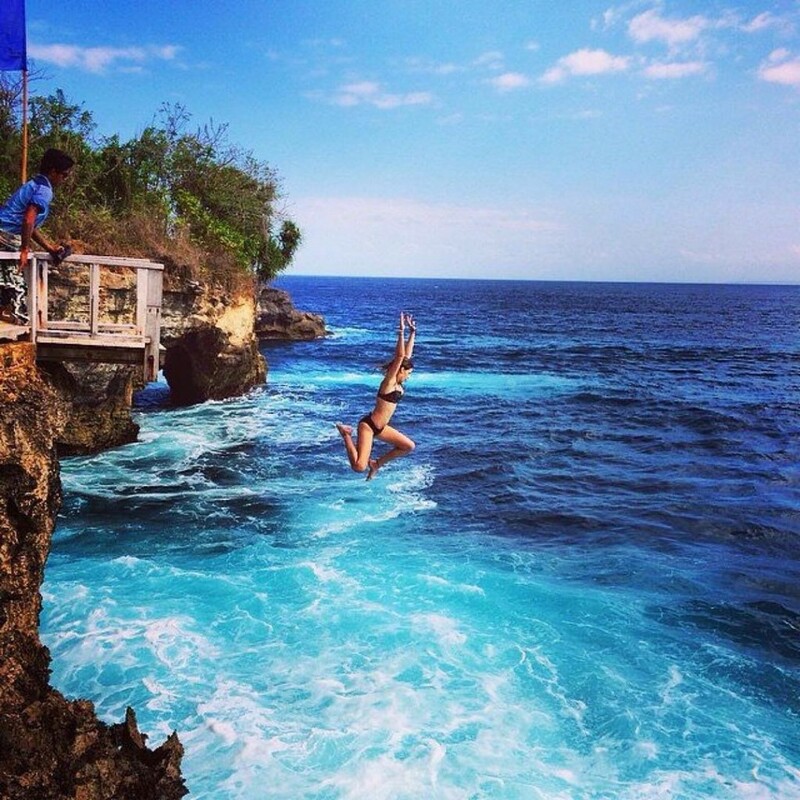 Here are our own picks of the coolest extreme sports in Bali! From the flat waters of Tanjung Benoa Beach, a man just sprouts a jet of water coming out from what appears to be a boot. You might start to wonder – is it Iron Man or Aqua Man? 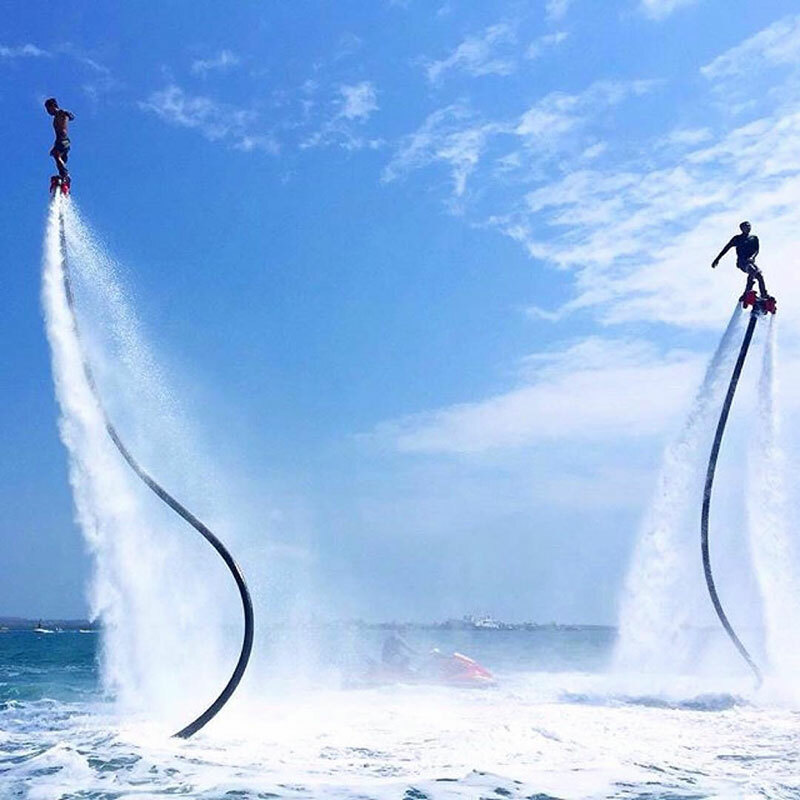 With high water pressure, you will be propelled into the air, with water ejecting from the nozzles – yes, very much like a superhero saving the day. 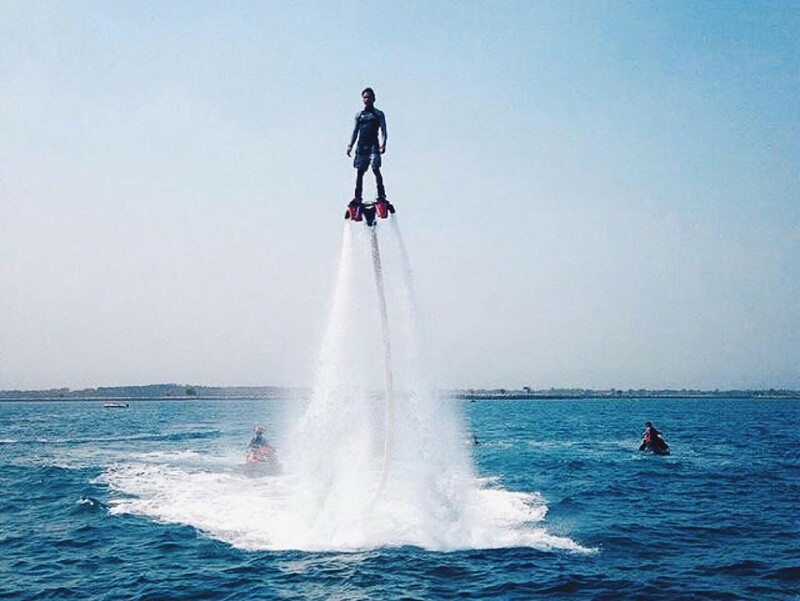 The basic flyboarding is while standing upright, but if you’re more experienced and want to experiment, you can even dive into the water like a human dolphin. 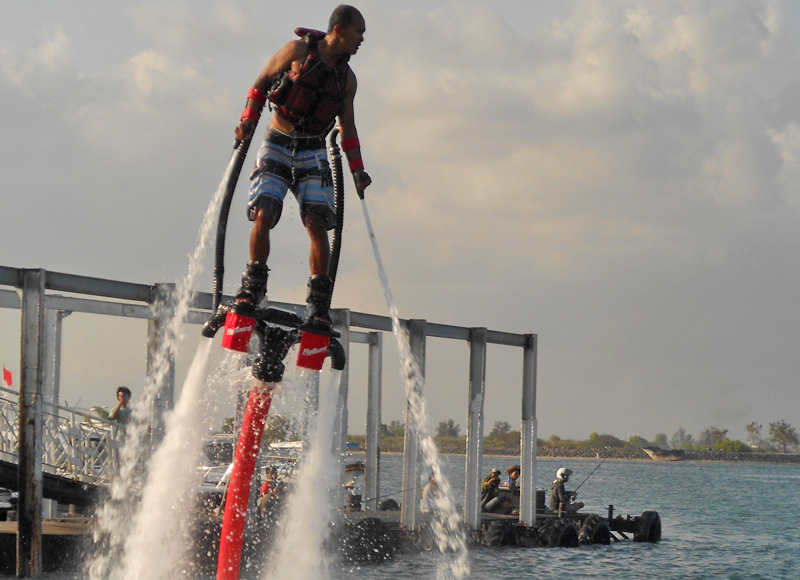 As the newest attraction in Nusa Dua, flyboarding can propel you up to 15 metres high. 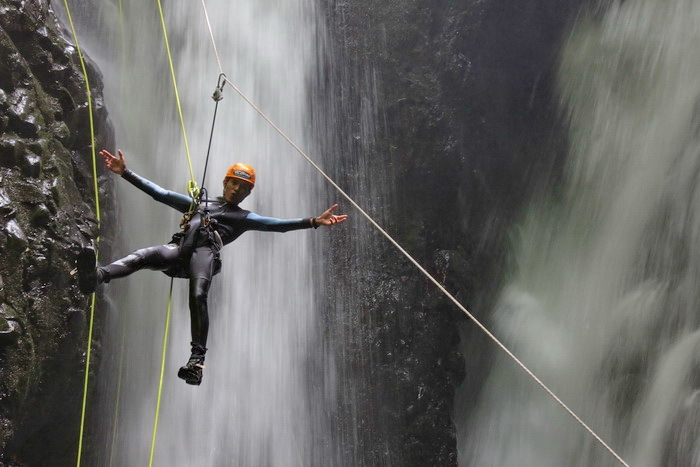 A great adventure for the adrenaline junkies! 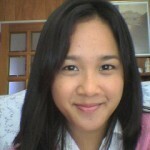 eOasia is a registered online travel agent that you can discover and book things to do in Asia. 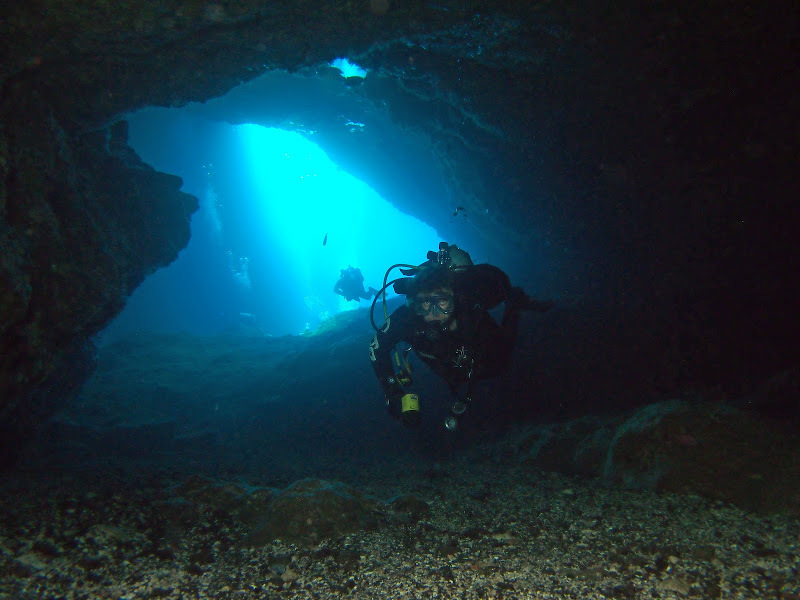 If you find scuba diving too mainstream, you’ll find cave diving a unique underwater challenge, where you dive into an underwater cave. A form of technical diving, this sport requires highly specialized breathing equipment, intensive training, and may even pose high risk and dangers. Still, the reward is priceless. 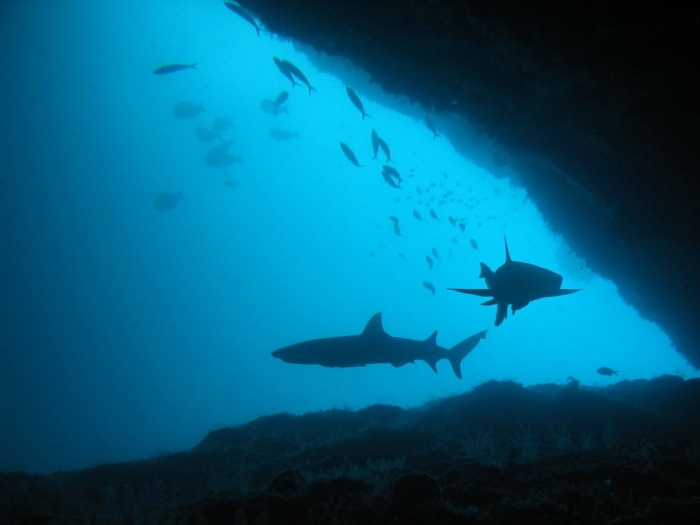 In Bali, Shark Cave (part of Gili Biaha dive spot in the eastern part of the island) is a favorite destination for cave diving. 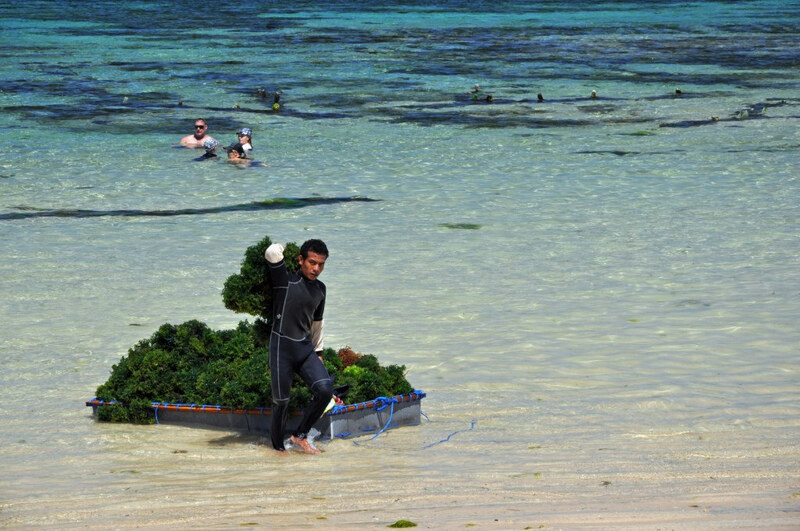 Gili Biaha and other diving spots nearby require at least 50 diving experiences due to its depth, low temperature, and strong current. 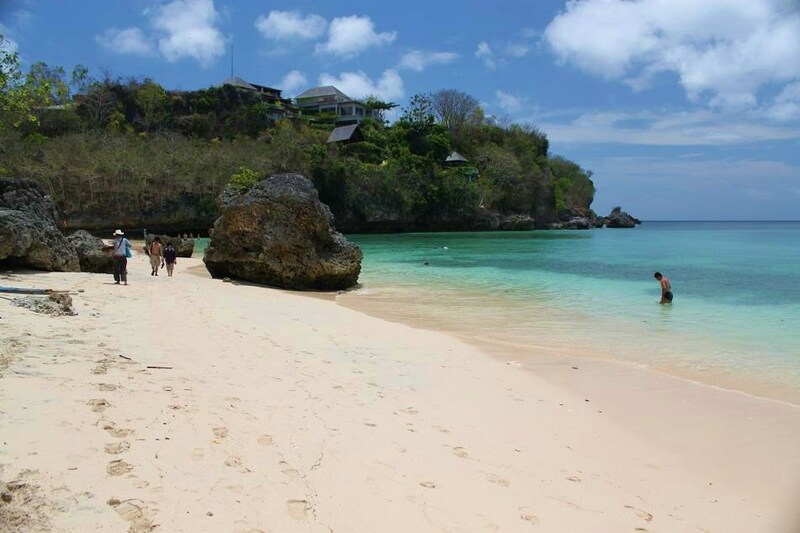 And as the name suggests, the cave is home to Bali’s numerous sharks, along with lobsters and butterfly fish. 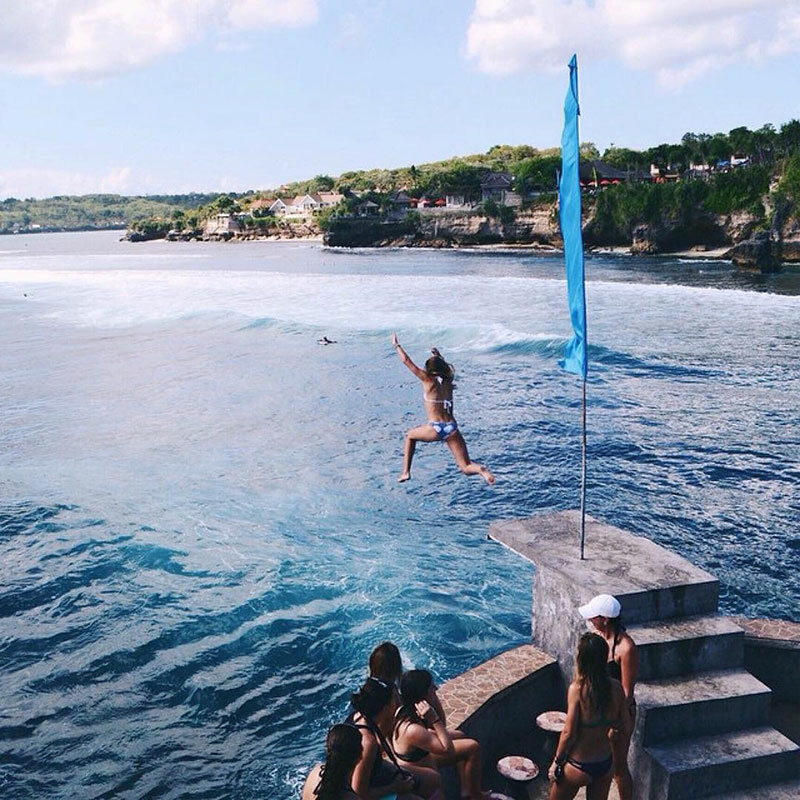 Northern Bali is the favorite place for this activity due to its many waterfalls. 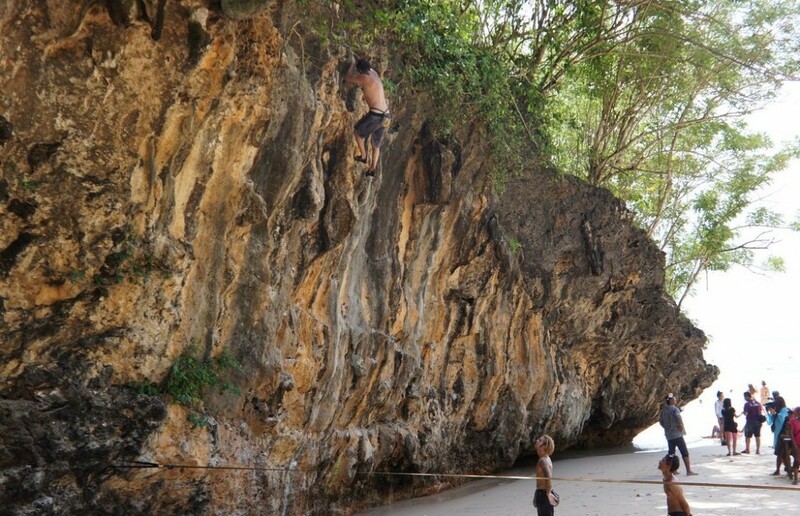 Traverse deep ravines in Balinese jungles, and test your physical endurance between cliffs and layers. Then swim in the river wedged between high rock layers. 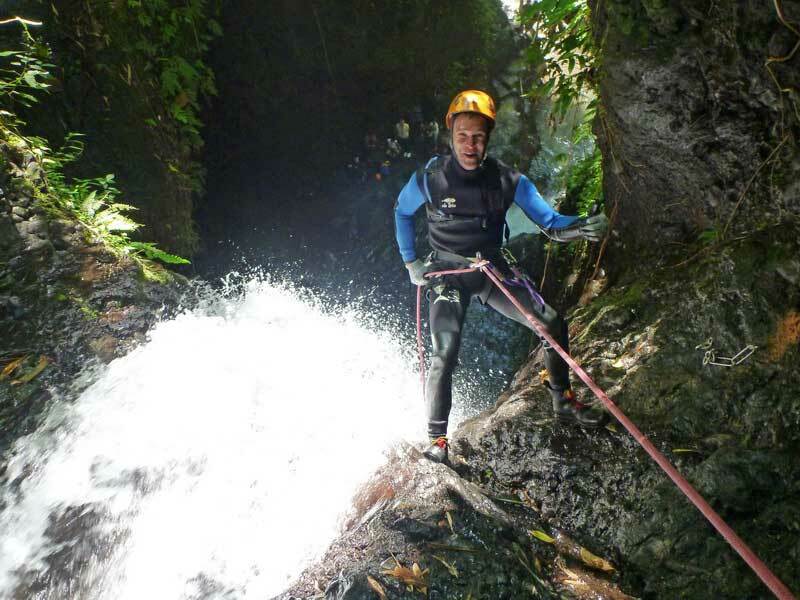 Canyoning in Bali ranges from beginners to advanced. 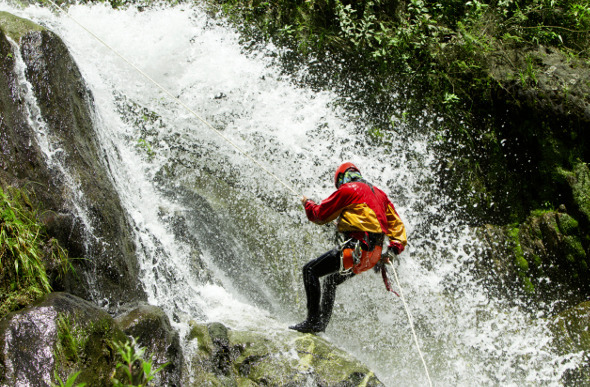 Kalimudah is the most popular route for canyoning enthusiasts. If you want to go even more extreme, pick Tukad Hijau, and have a six-hour thrill as you hike. The best part? Descending in a canyon. To do this, you must be in pretty good shape and have experience in rappel. Imagine canyoning with the beautiful gorges and waterfalls all around you – it’ll definitely be an unforgettable experience! We recommend going during the rainy season or after a heavy rain. 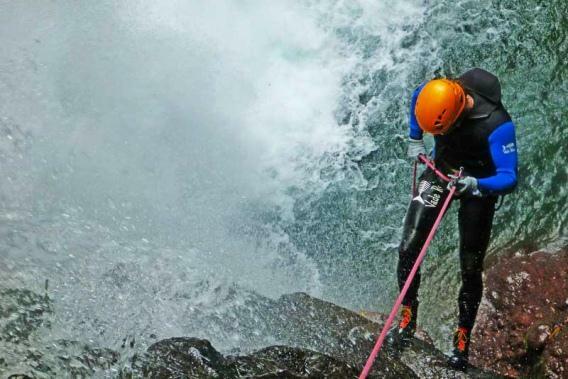 Check out this video of Canyoning at Gitgit Waterfall! 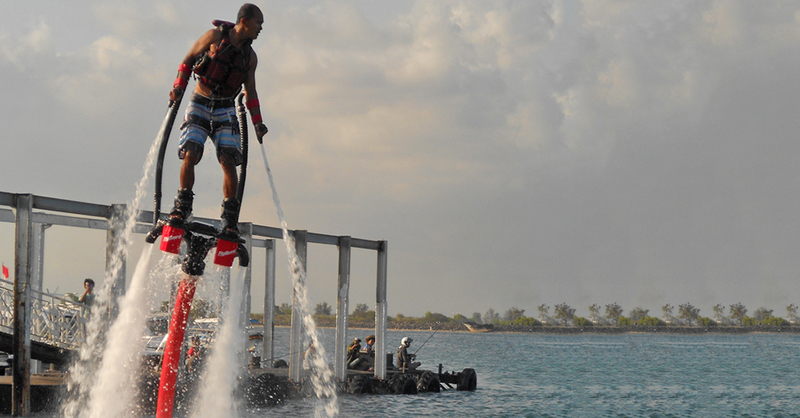 It has now become one of the newest watersports across the world. 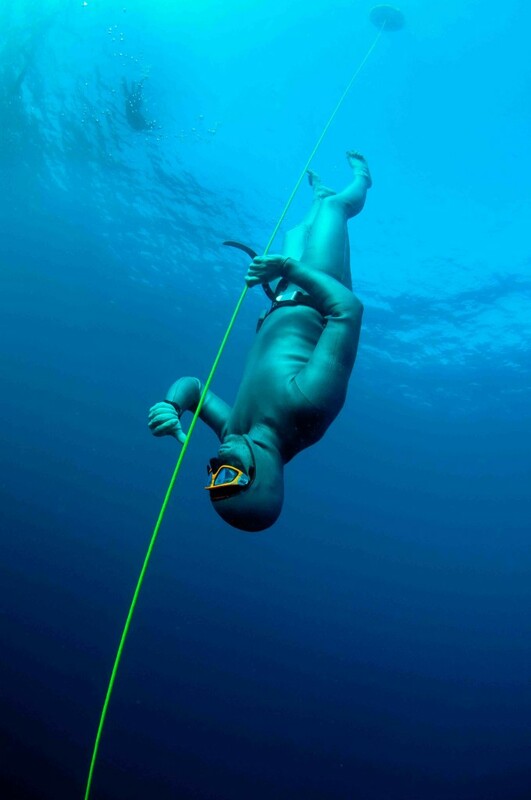 Though categorized as an extreme sports, freediving requires relaxation, which is why most freediving schools also offer yoga and meditation courses. 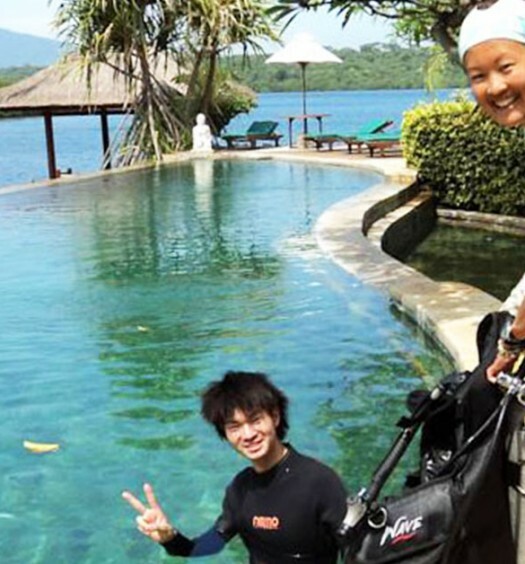 Bali is rich in underwater treasure with snorkeling and scuba diving as its top things to do. 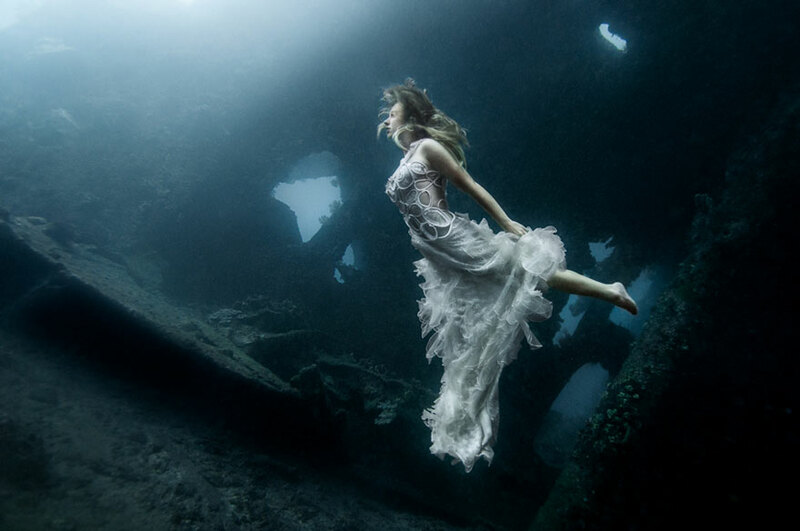 Now triple that when you freedive in famous locations like the USAT Liberty Wreck in Tumbalen, a chilling abandoned place and also a potential unique wedding photoshoot location. Discover marine creatures, soft corals, and deep coral reefs from this old ship that was torpedoed by the Japanese during the Second World War. 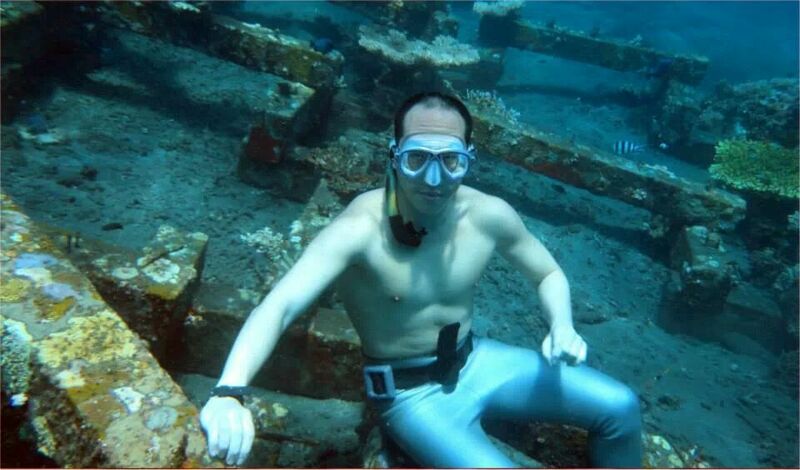 The best thing about this wreck is you can freedive regardless of your experience, with its depth of 7 to 30 meters. Check out this footage too! 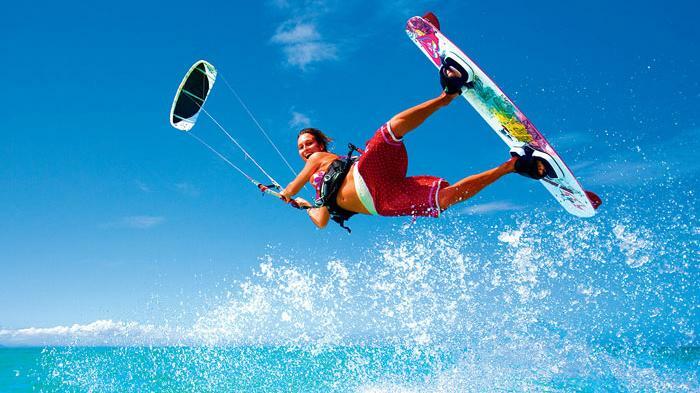 Though demanding great physical strength and mental toughness, kitesurfing already has a large following across the globe. 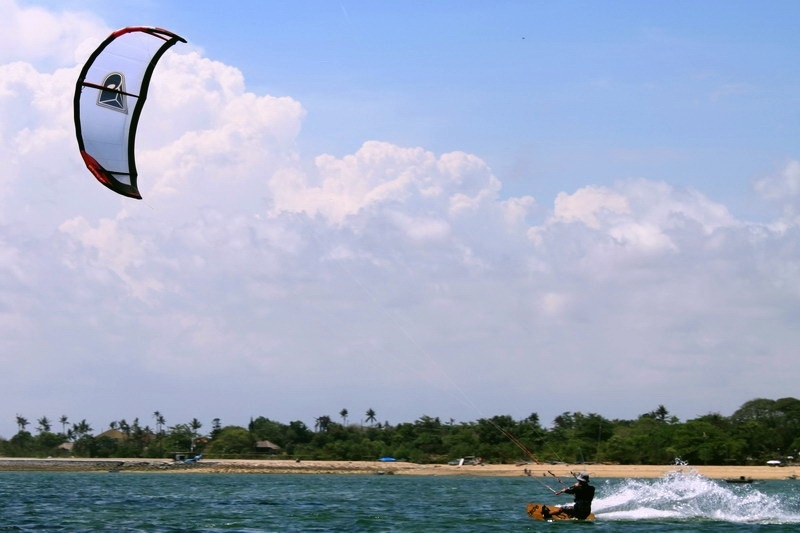 As the island’s top surfing destination, Sanur attracts a lot of kitesurfers. 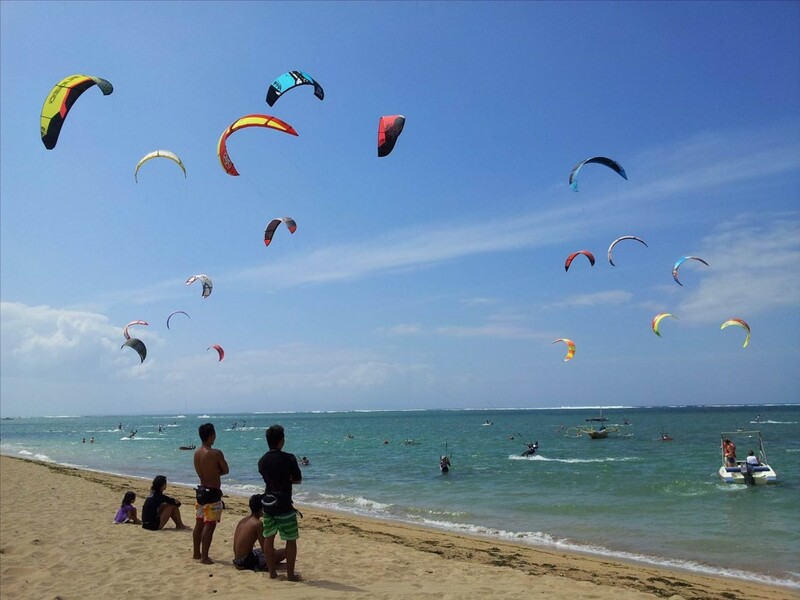 Known for its big waves, Sanur Beach also has flat water, perfect for you if you’re a beginner. 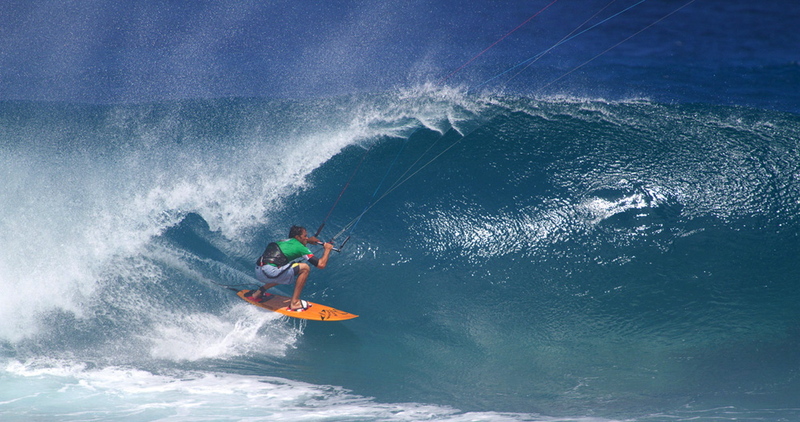 If you’re an adept kitesurfer, ride the waves outside the lagoon. Bali is home to many streams, canyons, and rivers and the northern region of Payangan is one of the island’s most untouched places. 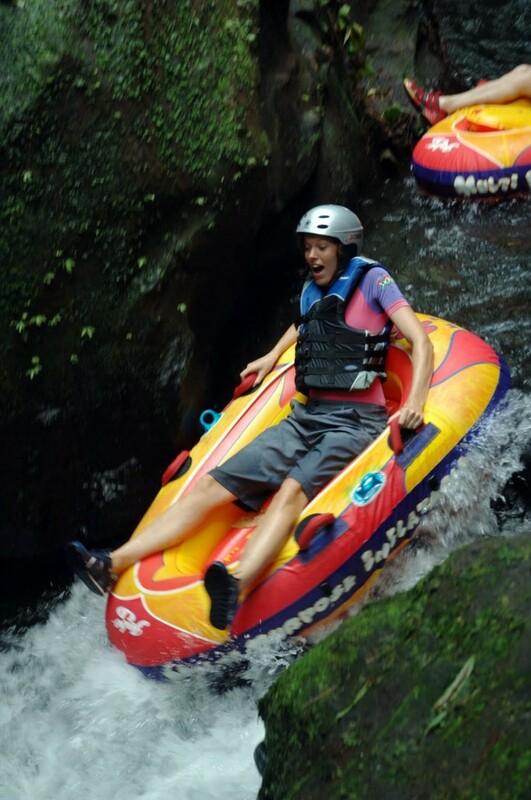 Down the stream, you’ll get a heart-pumping experience from water tubing as you gawk at Bali’s rich flora and fauna. What makes water tubing different from water rafting? 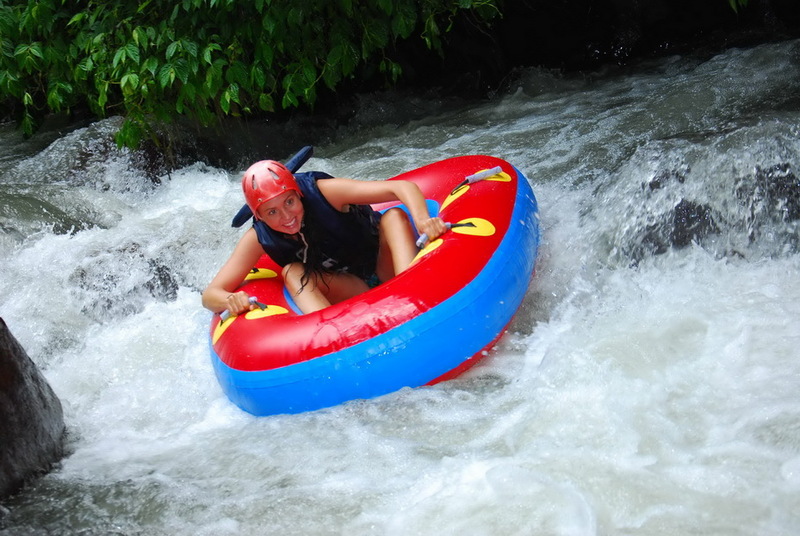 Unlike rafting where you ride in a raft with others, water tubing is a solo ride with an inflatable doughnut-shaped water tube. 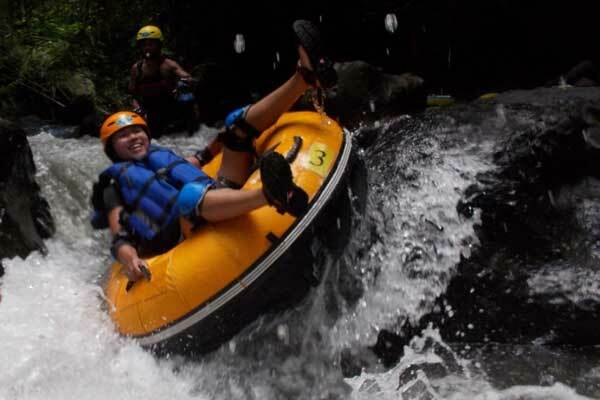 You go with the rapids as you hold tight inside the tube, and enjoy a few moments of serenity as you flow with the river of Siap and down again with the rushing water. Talk about thrill and getting wet! 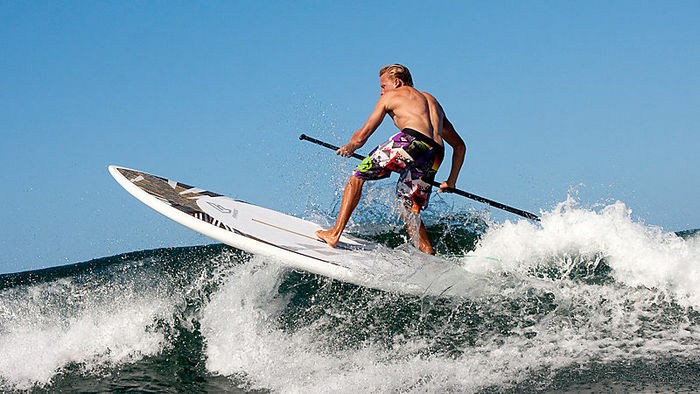 If you do paddle surfing, you’ll be able to chase bigger waves at a faster speed. 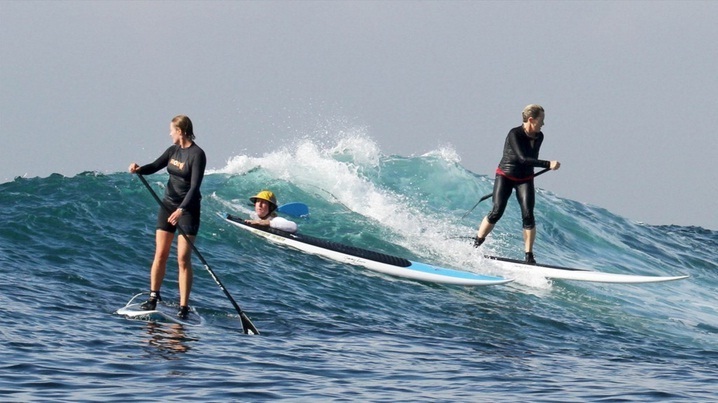 You don’t need to go to Hawaii anymore – popular surfing spots in Bali like Sanur offer paddle surfing. And surfing schools there offer courses as well as rentals. 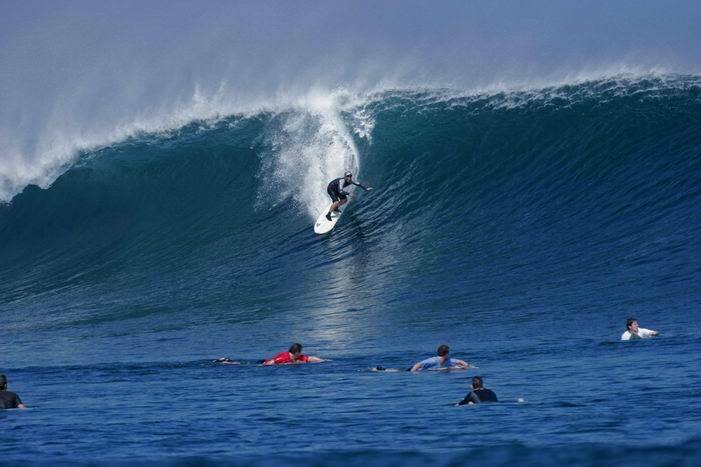 If you’re feeling more adventurous, head to the Blue Reef for bigger waves. 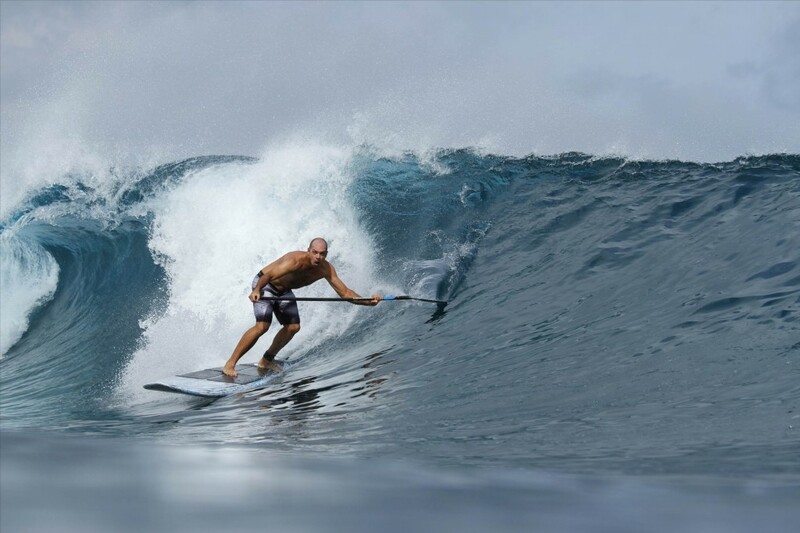 If you’re a skilled surfer and want to try something new, trust us, you’ll fall in love with this sport! Have you wondered what it’s like to fly? 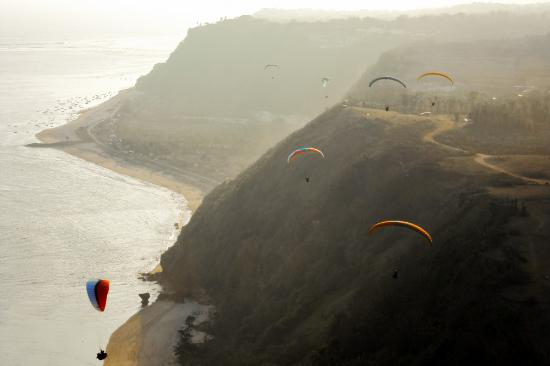 Paragliding gives you an experience close to being a bird. 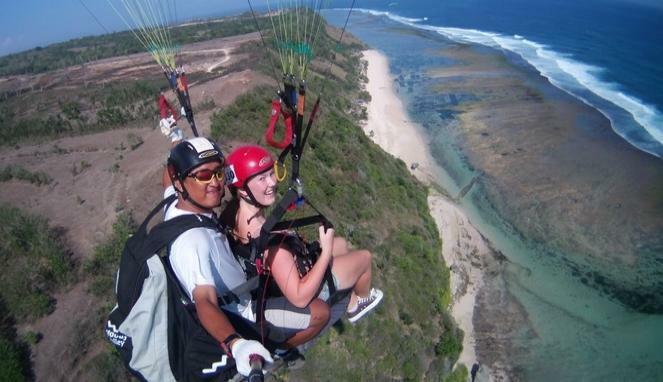 Launch your wings and soon you will be soaring above the island, greeted with magnificent views of the sea, cliff, temples, and beaches before landing on Geger Beach, where you can see seaweed farming. 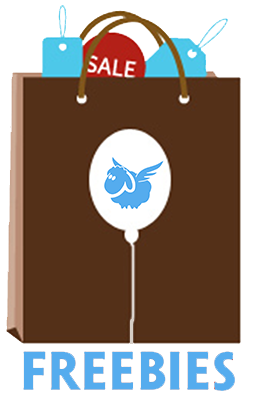 Tandem flights are also available for starters. Check out this beautiful video! Remember the movie ‘Eat Pray Love’? 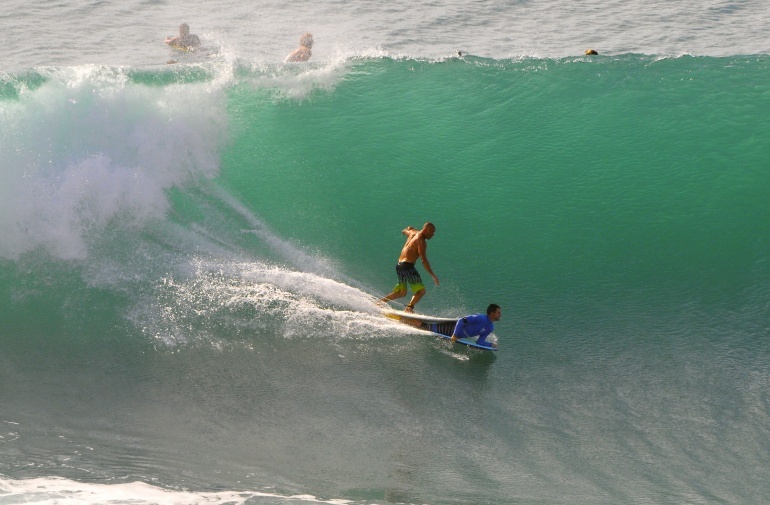 You’ll probably recall one of its featured places – Padang Padang beach, a famous shore in Bali with its strong, big waves beckoning all surfers. 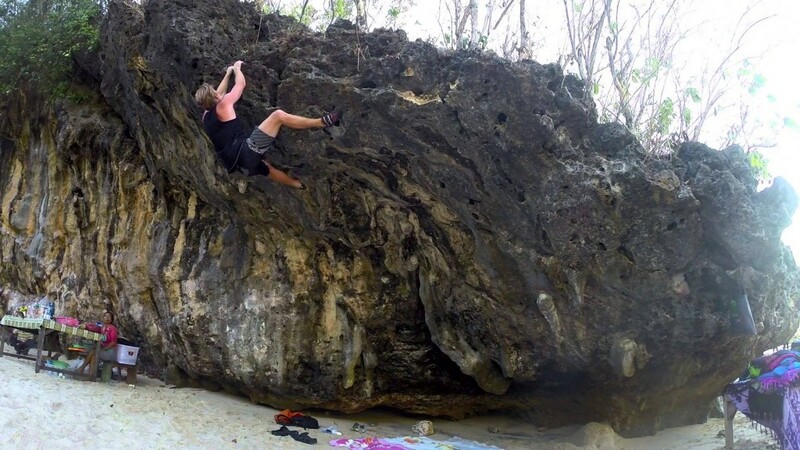 Apart from being rumoured to house some hair-raising secrets, Padang Padang Beach is fortified with tall rocks, so avid visitors and surfers have decided to start rock climbing there as well. Some have even ascended the rocks with a man-made rock ladder, just to see the famous and stunning beach. Tourists would climb the limestone rock – measuring 10 metres high and 50 metres wide – which even experienced rock climbers admit is a challenge. The best time to train your hand-eye-leg coordination and build up those muscles? Go to Padang Padang at low tide. Val Caulin is a freelance travel and lifestyle writer for the past 6 years. She has published her work in various travel magazines. She loves culture, food, hotels, architecture, and stunning views.